They own and manage BCS Mediation Training Company (bcsmediationtraining.com) and are available for mediation and negotiation trainings all over the continental U.S. They are also principal investigators at BCS Dispute Resolution Research Institute, where they led teams of researchers in the application of mathematics, psychoanalysis, and phenomenology to dispute resolution design. 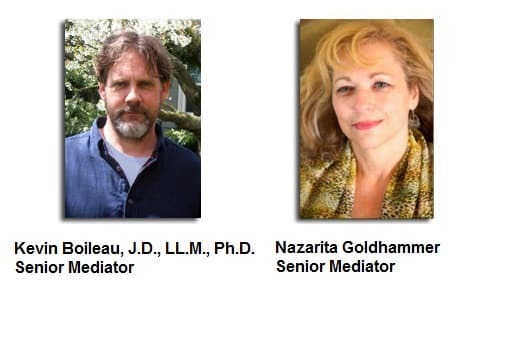 Both Boileau and Goldhammer are available for mediation and negotiation in cases involving marital dissolution, business formation and conflict, animal rights conflict, environment and water disputes, and organization conflict management.